HTC Walkin Drive In Chennai | Data Entry Jobs | 10th to 26th January 2018. HTC has issued job openings in Chennai for the candidates who had complete any graduation. The HTC company will recruit the candidates by conducting a walkin drive in Chennai location for data entry jobs. Aspirants who are interested in working in BPO can grab this chance. Individuals who have the dream to work in a reputed company like HTC can utilize this opportunity. Job hunters can check the HTC Careers page to avoid further complications. In this article, we have provided complete information about HTC Walkin Drive. Scroll down this page for more details regarding HTC job interview. HTC has mentioned that the candidates who have all the required qualifications are only eligible to attend for the HTC Walkin Drive. The job hunters who are willing work in the HTC BPO can directly participate in this HTC job vacancy. Aspirants with excellent communication skills are most welcome. Some so many people are going to appear for this HTC interview. Thus, the competition level is very high. Getting the IT job in this competition is not an easy task. For the sake of candidates who decided to attend for the HTC Walkin Interview, we provide HTC Placement Papers and HTC Test Pattern. This material will help you to get a good score and get the job in HTC. These model papers and syllabus will let you know the difficulty level of the examination and structure of the exam. You can also bookmark our website All India Jobs for more latest job updates. BE, B.Tech, M.Tech, ME, M.Sc are eligible. Ability to work in the teams. Should be flexible to work the shifts. 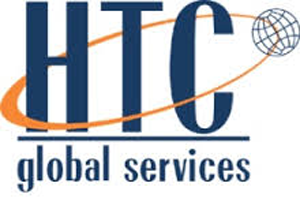 HTC Global Services (India) Pvt. Ltd established in 1990. HTC is a leading global IT Solutions and Business Process Outsourcing (BPO) provider with headquarters in Troy, Michigan. HTC is a mid-sized IT company with over 6000 qualified and experienced professionals. HTC has a strong client base of Global 2000 customers. HTC has global delivery centers across multiple time zones in North America, India, and Malaysia and offices in several countries serving the customers in the United States, Canada, UK, Europe (Germany, Belgium, Netherlands, and Scandinavian countries), Middle East, Singapore, Malaysia, Australia, China, India and Hong Kong. HTC has also invested over 300 crores in India, in the recent past, to expand its current facilities in MEPZ, Chennai and has acquired new premises in Guindy, Chennai and Begumpet, Hyderabad. Also, HTC has invested in training facilities at its headquarters in Troy, Michigan and at Malaysia to develop talent within the US and APAC regions. HTC has aggressive development plans in Gurgaon, Mumbai, and Bangalore and has significant recruitment strategies in these cities to support existing and new customer engagements. HTC is going to recruit the fresher and experienced candidates for data entry jobs. Aspirants who are interested and eligible can apply for the HTC Walkin Interview on the mentioned dates with all the required documents. If you do not get the documents may be the security will not allow for the HTC job interview. We hope that the given information about HTC Walkin Drive is helpful for your job search. If this job does not suit your profile, you can check more job updates on our website www.allindiajobs.in. If you have any queries, please feel free to ask us through the mail. AugustIQ Consulting Business Model – One stop solution for all your IT needs for your organization. Most progressive and highly affordable technology 100% IT efficiency and thereby advance your business goals.